Vienna christmas markets - Limuzínová preprava. | 24 hodín, 7 dní v týždni. From the middle of November until Christmas, Vienna’s prettiest squares transform into magical Christmas markets. The aroma of Christmas baking and hot punch sets the mood in the run-up to Christmas. Much at this year’s Vienna Christmas World at the Christmas Market is new: A tall arched gateway with candles receives visitors at the entrance to City Hall Square. 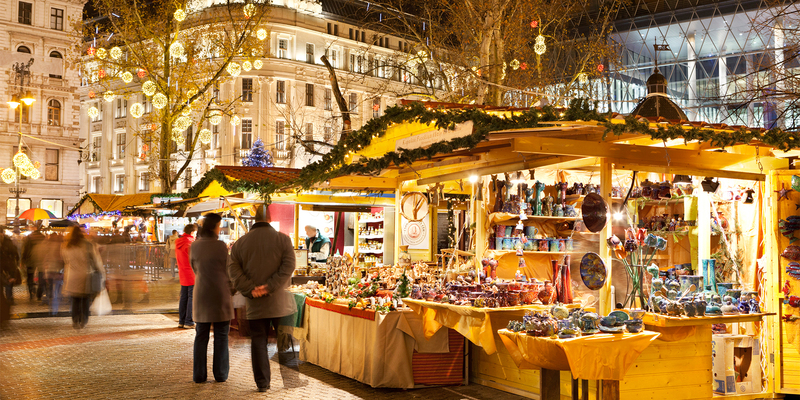 The 150 or sales booths at the traditional Christmas Market offer Christmas gifts, Christmas tree decorations, handicrafts, culinary treats, confectionery and warming drinks. New lighting is being added to the trees in the surrounding City Hall Park to create a festive sparkle along the Ringstrasse boulevard. This year for the very first time, visitors can skate through the park over two large ice rinks and along numerous paths. They can also go curling next to the 4,500 m² ice rink. Wondrous installations in the park focus on Christmas stories for children. In the Volkshalle at City Hall, the little ones can decorate gingerbread cookies and write wish lists to the Christkind.